It’s open internationally until 13th August and I can’t wait to read all the answers you’ll come up with. My most ridiculous thing was a bean plant called Sprout, but there will be more on that later – follow Bianca and myself on Tumblr for some extra features in the next couple of weeks! 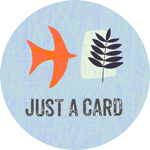 Next postNews: Free UK postage on everything! EVERYTHINGGG.